The first step to realizing the true benefit of your investment is designing the right implementation. 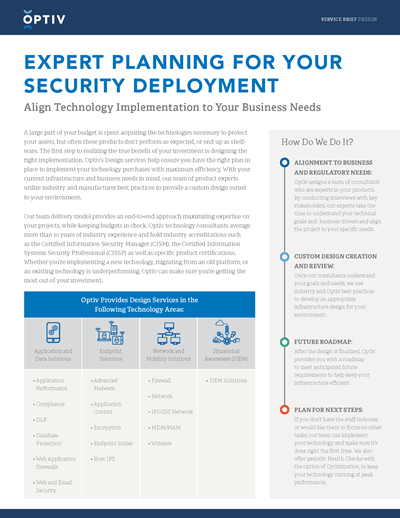 Optiv’s Design services help ensure you have the right plan in place to implement your technology purchases with maximum efficiency. With your current infrastructure and business needs in mind, our team of product experts utilize industry and manufacturer best practices to provide a custom design suited to your environment.